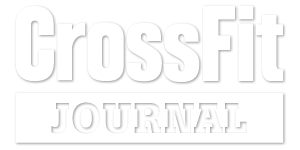 We believe that everyone can benefit from CrossFit's methodology. Whether you are an elite level competitive athlete or a person who simply wants to look and feel better, your workout needs to vary only in degree not kind. If you come to us with a desire to educate yourself and improve, we will get you to where you want to be. We will work with you to accomplish a better quality general physical preparedness for your life, whatever that level is for you. We want you to be part of our gym. Not sure where to start? Schedule a Test Drive!